When you walk into this 2-story home in Friendswood you will be greeted with a Beautifully Custom-designed and Spacious floor plan and Decorator Accents and Lighting. Formal Living Room / Dining Room seamlessly flows into open Family Room which overlooks the covered patio & Pool. 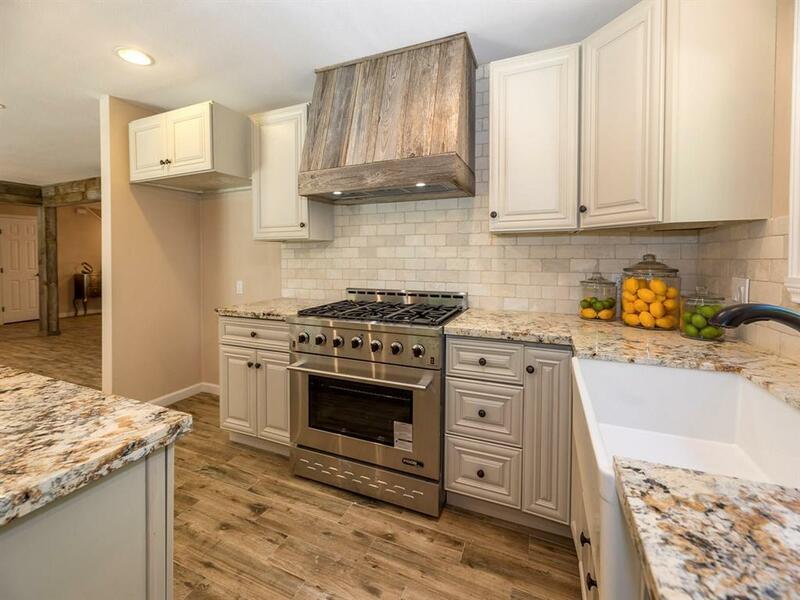 The Kitchen boasts gorgeous Granite counter-tops, High End Soft-close Wood Cabinets, Farmhouse sink, Reclaimed Wood Vent Hood, and Commercial-grade Stainless 6-burner Gas Range/Oven. 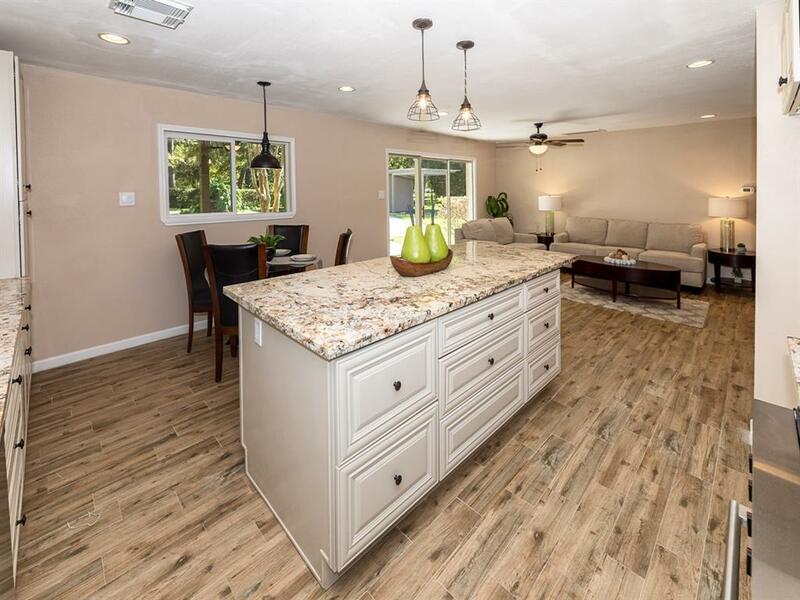 Wood-look Tile Flooring graces nearly the entire first floor, including the Large Master Bedroom unit. 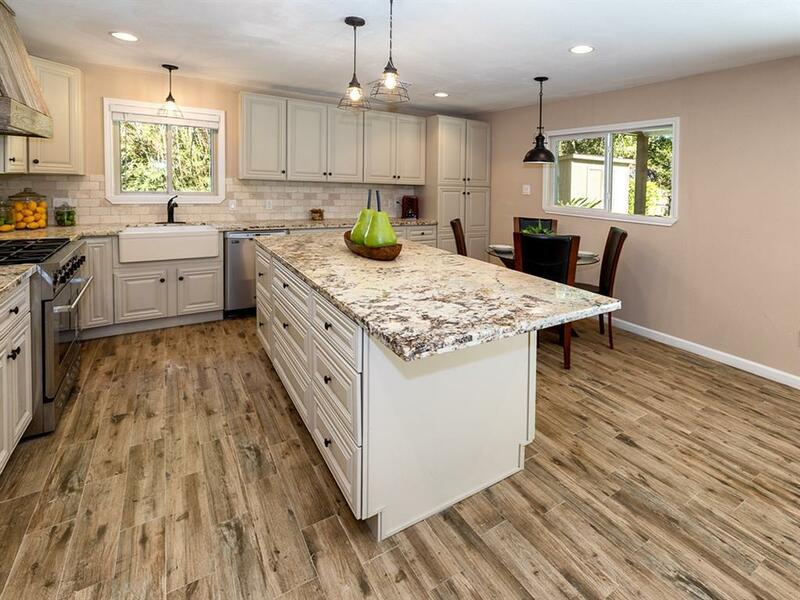 The master unit features a Doorway into the backyard and a lovely Master Bath which includes a Walk-in shower and Dual sinks in a Designer Cabinet with Granite counter. Interior Utility Room. Large Storage Shed and Pool Storage Structure. 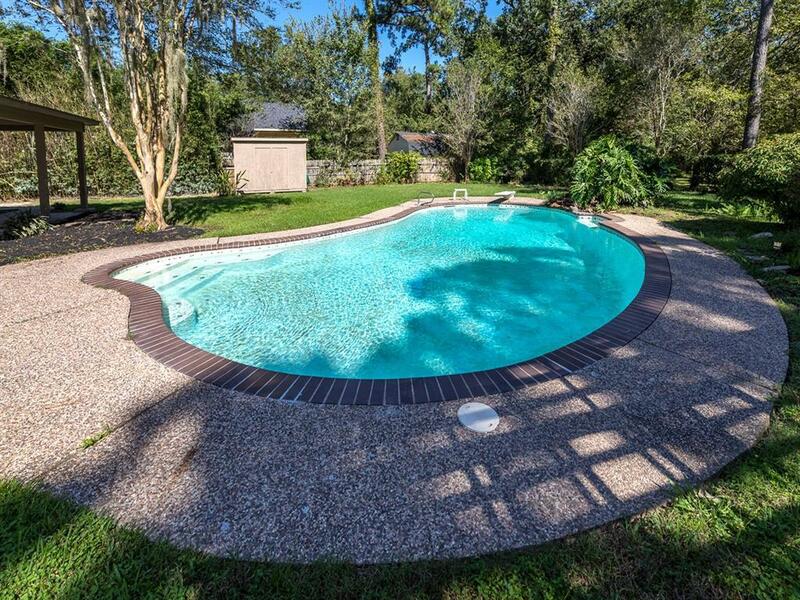 The Covered Back Porch features 2 double fans and overlooks the Pool and huge Backyard to provide a Tranquil Oasis.